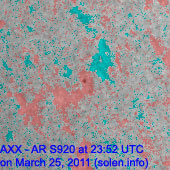 Last major update issued on March 26, 2011 at 06:05 UTC. Minor update posted at 13:10 UTC. 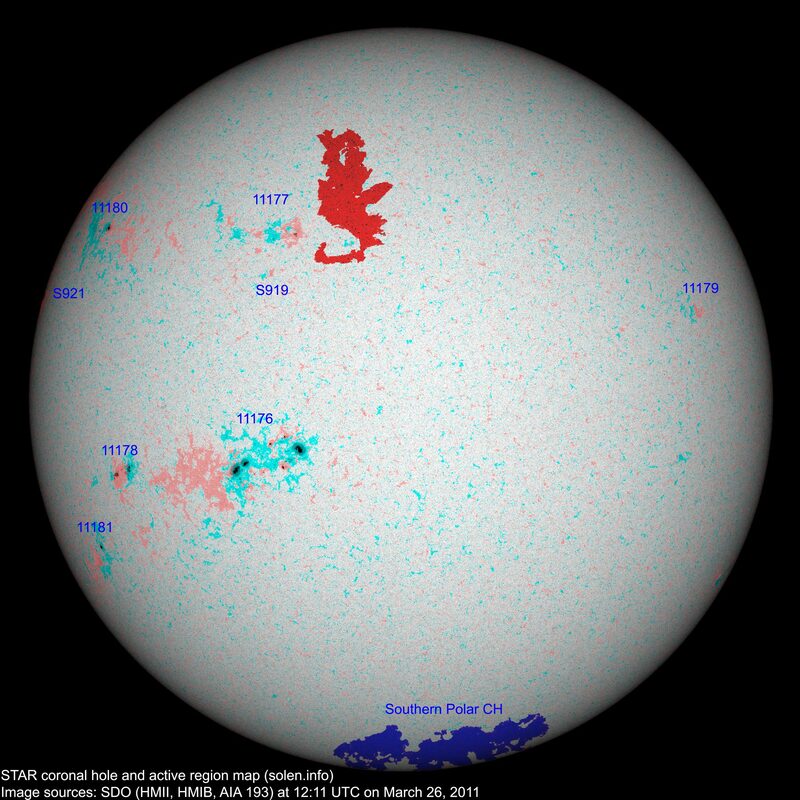 The geomagnetic field was quiet on March 25. 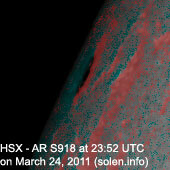 Solar wind speed ranged between 395-470 km/s. 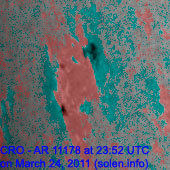 Solar flux measured at 20h UTC on 2.8 GHz was 112.6 (increasing 22.4 over the last solar rotation). The planetary A index was 3 (STAR Ap - based on the mean of three hour interval ap indices: 3.4). 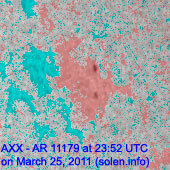 Three hour interval K indices: 00012111 (planetary), 00112211 (Boulder). 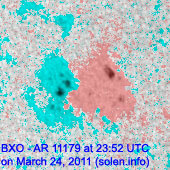 Region 11176 displayed some fragmentation of the largest penumbra, otherwise no major changes were observed. M class flares are possible. 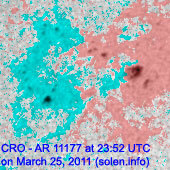 Flares: C1.0 at 00:42, C1.0 at 01:01, C1.0 at 17:12 and M1.0 at 23:22 UTC. 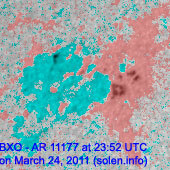 The latter event was associated with weak type II and IV radio sweeps. Region 11179 decayed slowly and quietly. 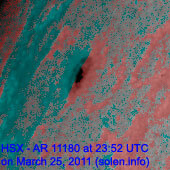 New region 11180 rotated into view at the northeast limb on March 24 and was numbered by NOAA/SWPC the following day. 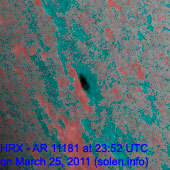 New region 11181 rotated into view at the southeast limb on March 24 and received a NOAA/SWPC number the next day. 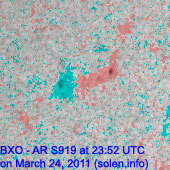 Minor update added at 13:10 UTC on March 26: New region S921 is rotating into view at the northeast limb while region S919 has reemerged with a spot. 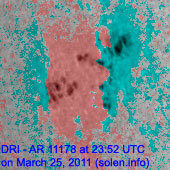 Region 11178 is developing quickly and currently has a DAI classification. 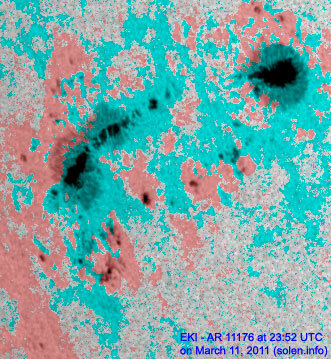 Region 11176 has begun developing tiny spots in the large trailing plage area, the region currently spans more than 25 degrees longitudinally. 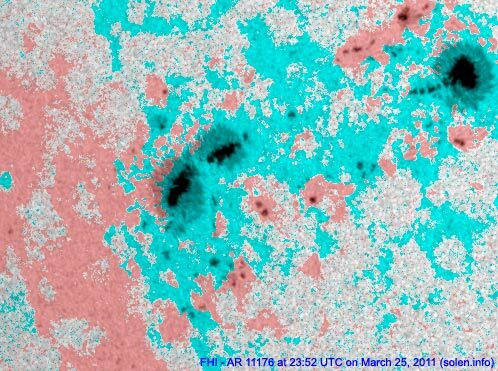 The latest high resolution STAR CHARMAP image. 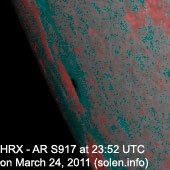 March 23 and 25: No obviously Earth directed CMEs were observed in LASCO and STEREO imagery. 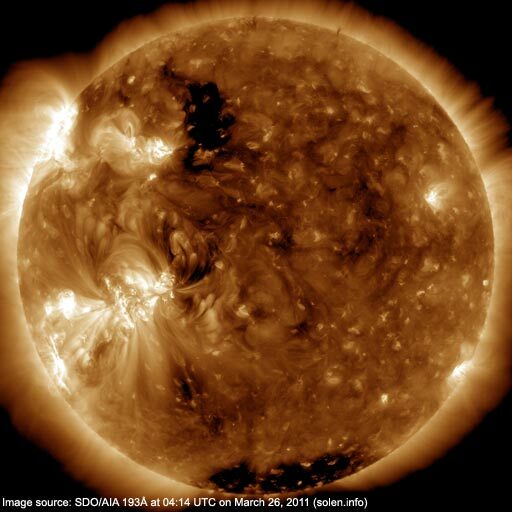 The geomagnetic field is expected to be quiet on March 26-27. 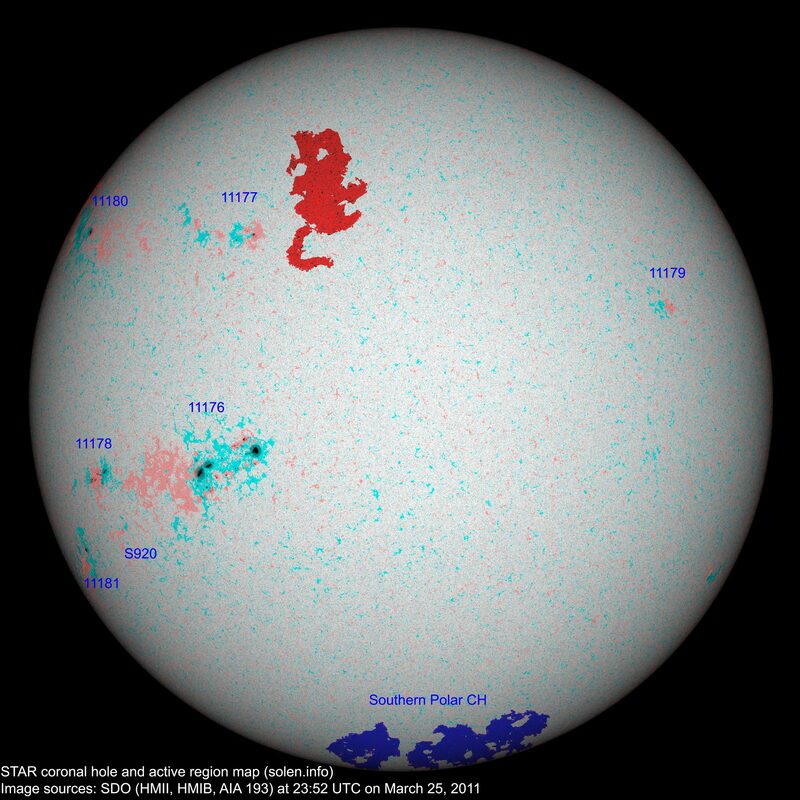 On March 28 there's a chance of unsettled and active intervals if the CME observed on March 24 reaches Earth.